Vessel Coffee Roasters is a caffeine destination point in the evolving Monroe neighborhood. Considering the layout of Monroe Street, you'd think there would be a drive-thru espresso stand on every block: Its current five-lane setup would certainly allow for it. But Vessel Coffee Roasters, which opened last June at 2823 N. Monroe, is really the only brick-and-mortar coffee shop on the stretch of Monroe between the drive-thru Jacob's Java (formerly Caffe Delicio) and the Garland District. If the recently-shuttered Coeur Coffee (at 701 N. Monroe) marks the start of the Monroe District, then Vessel is the opposite bookend. Vessel's owner, Sean Tobin, says the lack of proximity to another sit-down coffee place has its advantages: People are going out of their way to visit his shop because they like what it offers — only about 10 percent of his clientele comes from foot traffic, he estimates — and they're typically staying for a while and savoring the experience. At 8 am on a Thursday, there are already 20 or so patrons hunkered over laptops or thumbing through the paper with their morning joe. This is coffee worth the wait. "We don't have a lot of people just walking down the road, coming in for a cup of coffee," Tobin says. "It's really a destination point at the moment, so we want to create an environment and an atmosphere that people enjoy being in. "But if someone wanted to open a coffee shop right down the road," he adds, "I wouldn't say, 'No, don't do it. I'm afraid about my business.' If someone wants to do it, they should do it." That, of course, could change with the proposed Monroe Street updates, which predate Vessel's addition to the neighborhood. Tobin has been a vocal supporter of the project: He's currently part of a collective of resident business owners that calls itself Know Monroe (its name is an obvious riposte to the group opposing the construction), which meets to share news of the project and to "spread the good that's happening in the neighborhood," Tobin says. He is aware, however, that not everyone is as optimistic about the changes as he is: In fact, there's a banner opposing the Monroe project hanging on the neighboring Vintage Rabbit Antique Mall, which you can see through one of Vessel's large windows. "I recognize the risk," Tobin says. "But I think all great things in life require some sort of risk. They don't usually come easy. And I think this could potentially be one of them. ... When I heard about the project and I heard about what it could do, I was extremely encouraged to settle down here. I saw a really bright future on the horizon for us in terms of what that could look like." 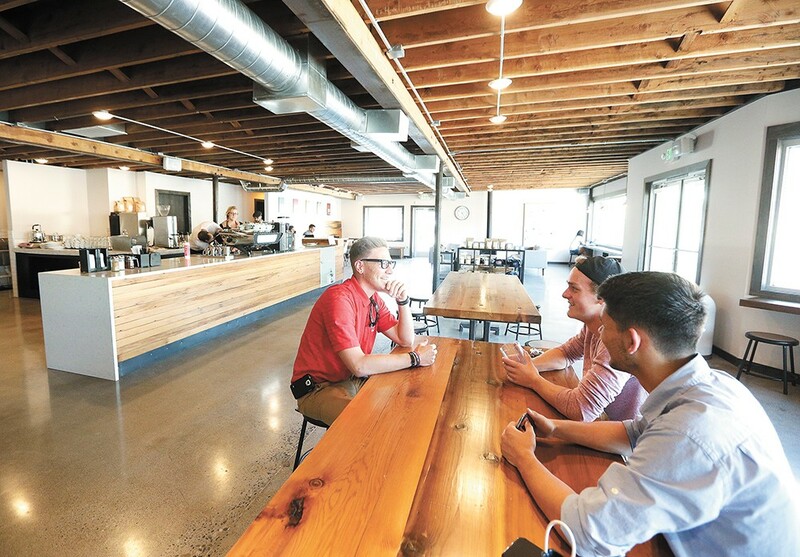 Since Vessel opened its doors last summer, Tobin says he and his staff have been experimenting with different roasting approaches and have been making new types of coffee available to their customers. 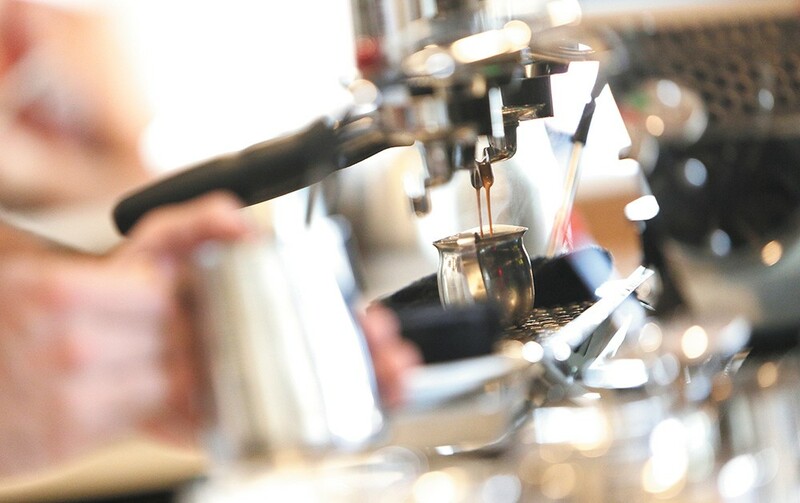 They've also released a new spring menu and are selling their coffee wholesale in small shops in Seattle, Boise, New York and Tobin's hometown of Portland. There are also plans to install a parklet with benches, similar to the ones that have popped up downtown, adjacent to Vessel next month, which Tobin says should give people an idea of what a neighborhood with wider, more walkable sidewalks might look like. And while there's no current plan to expand Vessel to a second location, Tobin says it's not an impossibility. For now, he wants to give his customers a place to relax and unwind while the neighborhood develops around them.